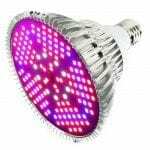 PlatinumLED Grow Lights is a US-based manufacturer that exclusively produces LED on silicon substrates through BridgeLUX San Francisco, California. These patented light source tech devices have unsurprisingly substituted fluorescent and incandescent lighting. The Advanced Platinum LED P150 is one of the smallest models in the Platinum Series. 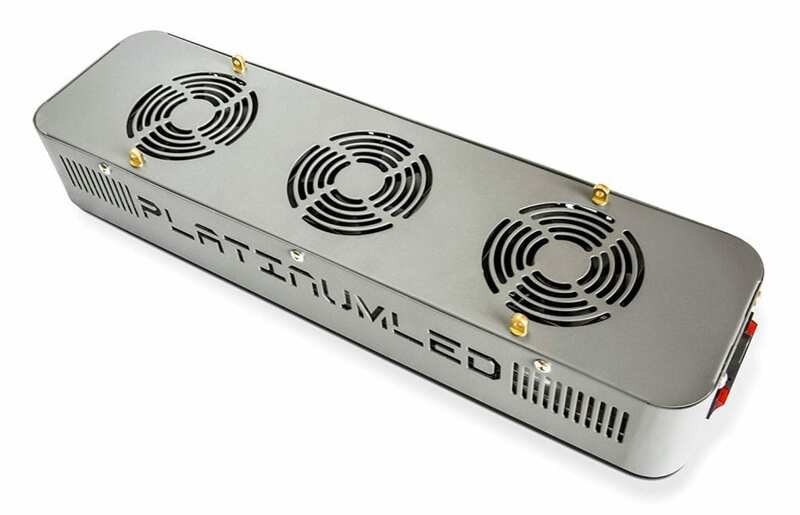 In the vast sea of LED options, the Advanced Platinum Series LED grow light has established quite a reputation in the growing industry. The secret to their uncanny success is owed to reasonable pricing, efficient designing and top-grade raw material usage in production. Gardening enthusiasts will appreciate the 8.5 lb. lightweight it offers, inside a 19”x5”3” inched anatomical build. A 3×3 grow tent is perfect for this light. Still, despite being the smallest in the 4G Platinum Series grow lights, the device packs quite a powerful light punch. Other lights of Advanced Platinum LED include the P300, P450, P600 and P1200. 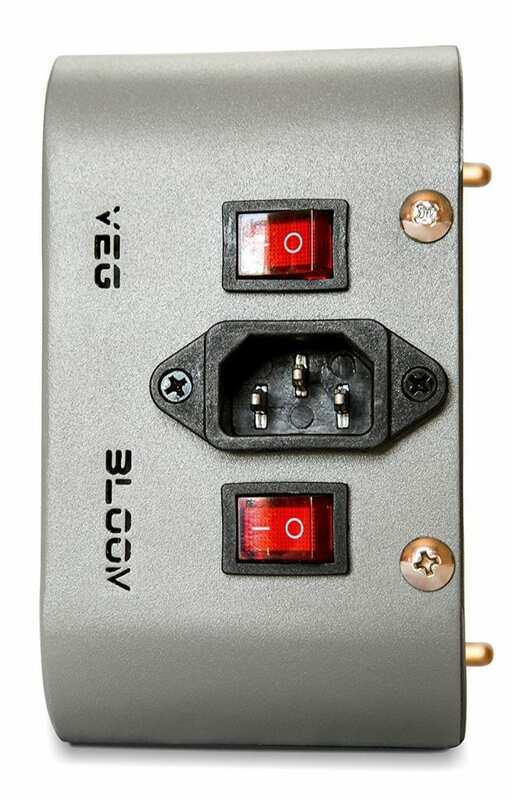 Functioning at a voltage of AC85V 260V it’s made to replace a 250W High-Pressure Sodium grow light. 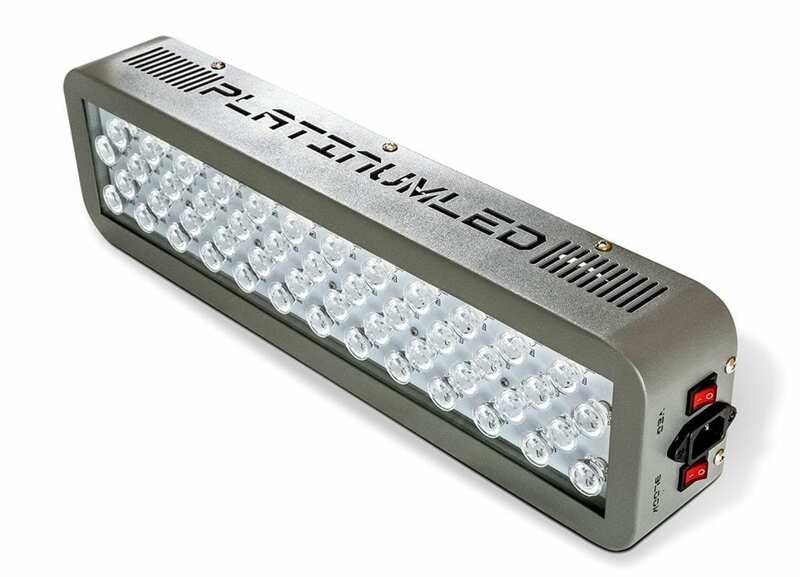 The Advanced Platinum LED P150 consumes a mere 87W of power for Bloom and 50W for Veg. 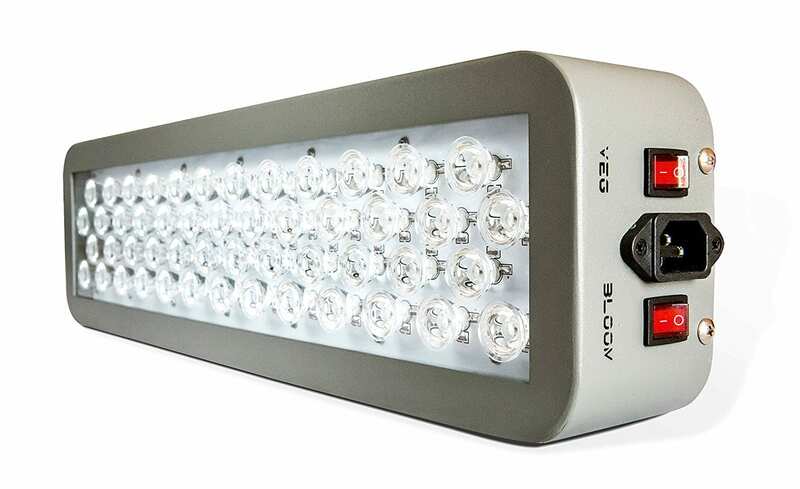 This 100% usable light contributes to encouraging maximum photosynthetic responses and highly efficient processing. This consumption is complemented by a negligible output of heat. This minimum usage paired with maximum yield will, in the long run, prove to be a worthwhile investment that drives down financial costs. Preferably designed for smaller grows it provides an approximate max coverage at 18”, at a height of 4.5”x3.5”. The core coverage value is around 18” at a height of 3”x1.5”. Nevertheless, the coverage depends on what you are growing and at what stage of growth it is being used. Like it is for all plants, each has its own demands are requirements for optimal growth. 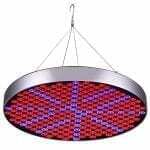 This powerful Platinum LED P150 light offers the highest PAR per watt of any LED in today’s market. Therefore, this radical LUMEN ratio offers a relatively large output if compared to other similar product models. 250w HPS replacement with 45ft x 35ft coverage at 18" height PERFECT for tight, compact applications! At a 6” height placement the PAR Value is 1800umol, at 12” is 910umol, at 18” its 535umol and at 24” it is 340umol. Also, you will be gaining access to a complete 12-band spectrum that is host to: 380nm, 415nm, 440nm, 460nm, 480nm, 615nm, 630nm, 660nm, 720nm, 740nm & 760nm. Respectively, these specifically tuned wavelengths support different grow stages of a plant. On top of that, the ultraviolet light promotes coloring and thickening during the vegetative stage. Chlorophyll absorption is stimulated between 400nm-430nm. Visible spectrum blue light maximizes the photosynthetic process and vegetative processing. Positive outcomes for growers also include optimized blooming via the visible red spectrum range exposure. At 760nm the flowering continues to increase. The versatile continuum offered by P150 is a cultivator’s dream come true. Equipped with a toggle switch, the 50x 3W US made LED lights operate for a lifespan length of 50,000 to 100,000 hours i.e. up to 11+ years. Top-bin LEDs have fully Zener protected diodes to avert undesirable line surges. 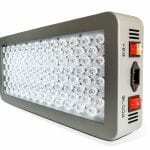 You never need to change a bulb of this LED grow light. Exceptionally potent lighting can be maneuvered into either the Vegetative Mode or Bloom Mode per growing requirements. These selectable light spectrums assist from the seeding phase to flowering and finally the harvest period while covering 15.75 square ft.
Further augmenting its appeal, the P150 comes armed with a 60 and a 90-degree secondary light-focusing lens that concentrates the light downward onto the canopy. Unit damaging heat retention is kept at bay with 2x high speed, whisper quiet fans that circulate air nonstop. The aluminum cooling heat sinks also aid this process. You get maximum peace of mind via a 5-year warranty and a 90-day refund guarantee. The 5-year warranty is unique in the LED grow light market. It far exceeds the average warranty period. I always love the videos that Advanced Platinum makes themselves of their LED grow lights. Check the video above to see an overview and a PAR test of the P150. The Advanced Platinum LED P150 is the ideal LED grow light for a grower that’s looking for reliability, quality and perfect light output. This PlatinumLED P150 is the smallest version of the Platinum Series and therefore ideal for every grower that has a small garden. Ultimately, your yields will be great with this light that needs no additional cooling because of its good heat dissipation. The coverage is somewhat smaller than it’s competitors, but the excellent light of the device will make this up. Your plants will flourish under this LED grow light. Do you have an interes in growing tools? Then check out our reviews of the best bud trimmers, grow light movers, carbon filters and hydroponic systems. A review of one of the most respected LED grow light brands in the market. The P150 is the smallest LED grow light in their Platinum Series and therefore ideal for the small grower.